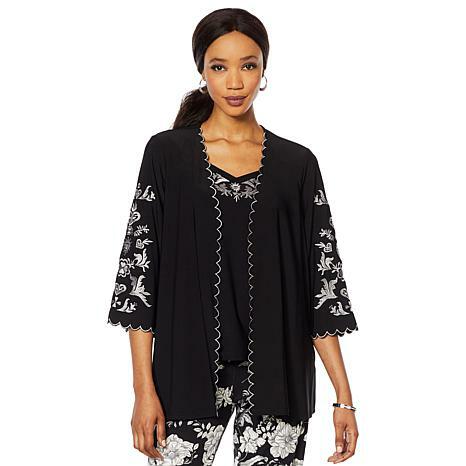 Enjoy the Lacey Days of summer (and spring) with Antthony's fabulously flattering, embroidered jacket and top set. 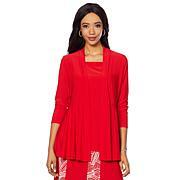 Hi HSN/Anthony,I really thought this was a very sweet and feminine jacket and top in the XL. The jacket fit fine but the top was tight on the arms. Sadly, it is going back for that reason. I was going to a summer wedding in this outfit but really don't want to spend on alterations. So disappointed. This moss green which shows as a light color is actually dark olive. Returned immediately.